Baby it’s cold outside! Sadly, we don’t have snow on the ground yet but it sure is chilly! It has been really windy around here, which makes even colder. 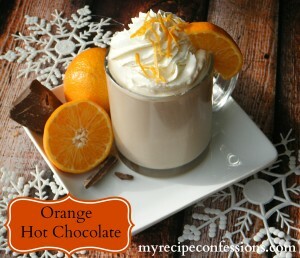 The other night I made this Creamy White Hot Chocolate and boy did it hit the spot. It is so smooth and creamy. 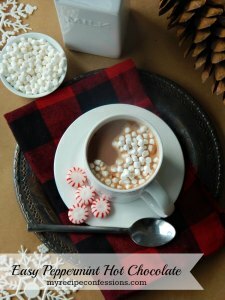 I happened to have some Candy Cane Jo Jo’s from Trader Joe’s and they were so amazing dipped into this white hot chocolate! I think the Creamy White Hot Chocolate would make the perfect addition to a hot chocolate bar. Or it would be awesome to have on a cold chilly night while you are curled up in a blanket watching your favorite holiday movie. 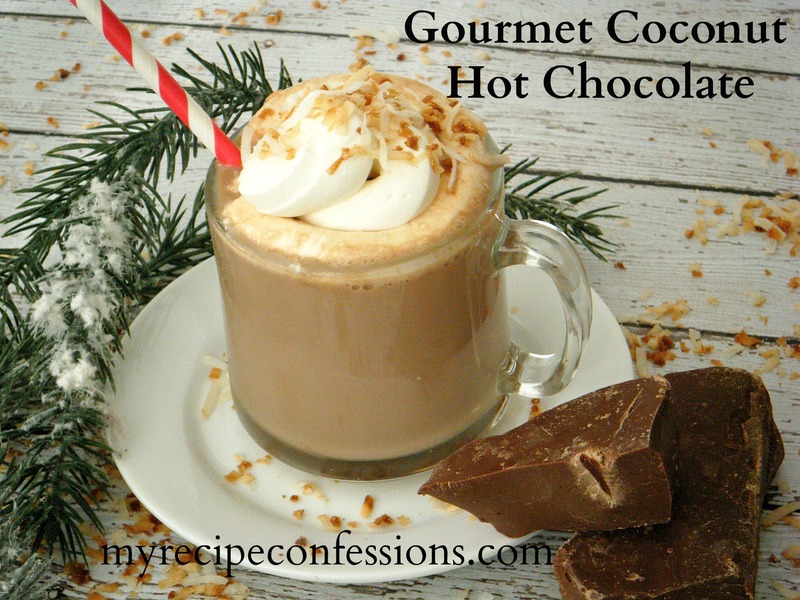 You can serve it with whipped cream and mini marshmallows. For a fun twist, you can make some peppermint whipped cream to serve it with. Oh man, my mouth is really starting to water. 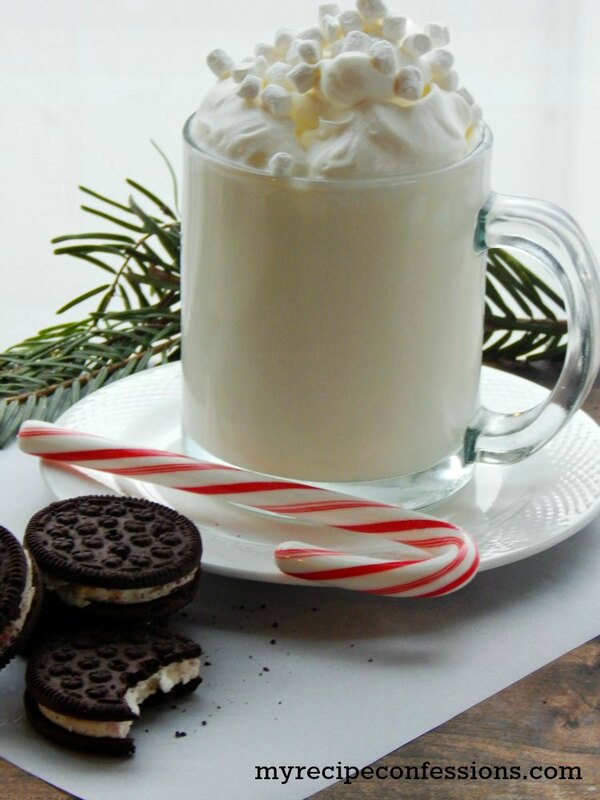 I think that Santa would really appreciate a cup of Creamy White Hot Chocolate on Christmas Eve night. Just saying. In a medium-sized sauce pan over medium-high heat, add sweetened condensed milk and white chocolate chips together and stir until smooth and creamy. Stir in the milk and continue to stir until heated through. 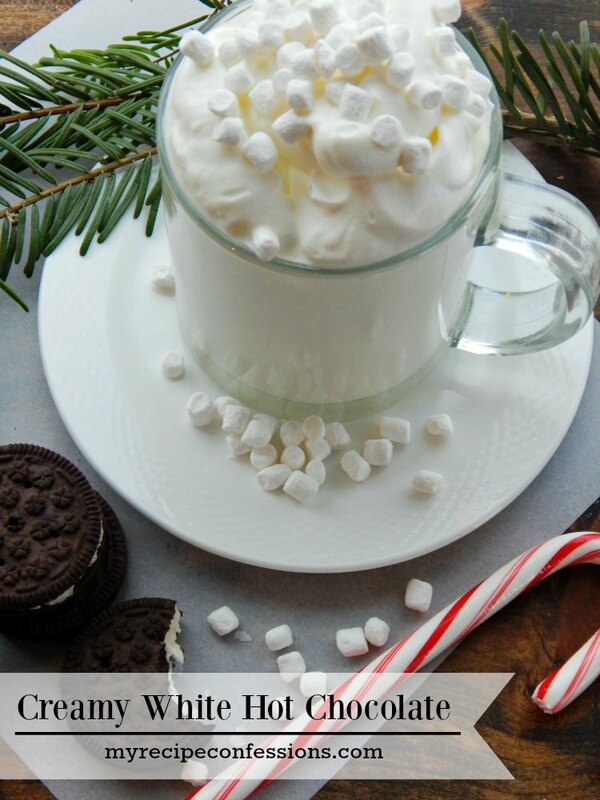 Add vanilla and serve with a dollop of whipped cream and mini marshmallows. Here are a few other delicious hot chocolate recipes you should try.